My entire family is big on baking. And when I say my entire family, I mean my entire family. Both sides of my family are big into making cookies, cakes, cupcakes, you name it. Anything sweet, we love. One year, my sister got into veganism. She started going to a vegan bakery in her neighborhood and bought a baking book filled with vegan treat recipes. One of those recipes was for ‘Sweet and Salty Cookies. Never before have I really thought about combining the sweet with the salty, but these cookies did just that. A delicious chocolate chip oatmeal mix baked and topped with a pinch of sea salt fresh out of the oven. And boy, were these cookies tasty. The cookie dough was not only safe to eat, but it was the best cookie dough I have ever had! And that’s saying something. One night, I was making these cookies and my brother’s friend stopped by for a quick visit. He ended up telling me about how his roommate made brownies the other weekend and topped them with salt for a little surprise. Brownies and salt? I thought. Blasphemy. However, mixing something sweet with something salty is more popular than I thought. People mix brownies with salt, cookies with salt, salty pretzel sticks with sweet nutella, and, most notably in recent years, salt with e-juice. Now, when I say those two words together, I don’t mean manufacturers just dump a certain amount of salt into their e-juice. The salt that they are using is, in fact, nicotine salt. And the flavors they mix it with are refreshingly mouthwatering. But, what is nicotine salt? Nicotine salt is a type of salt that forms naturally in tobacco leaves. The nicotine traditionally used in cigarettes and other forms of nicotine replacement therapies (like gums, patches, lozenges, etc.) is called “freebase” nicotine. This nicotine is the purest form of nicotine and is the go-to for e-juice manufacturers. This kind of nicotine, however, has a higher pH level and causes a much harsher throat-hit. Nicotine salt, on the other hand, is mixed with benzoic acid, which lowers the pH levels of nicotine, reducing the alkalinity and producing a much smoother vaping experience. With nicotine salt e-juice, vapers can vape at lower temperatures with higher concentrations of nicotine. They get a smoother nicotine hit that won’t be harsh or burn the throat along with a rich and flavorful e-juice taste. They have a longer shelf life and don’t require a powerful vaporizer. If this sounds like something you’d like to try, then you might be wondering where you can get Vapor Juice For Sale. Well, I have an answer for you: SaltBae50. They have a variety of nicotine salt vapor juice for sale that anyone will love. Some of their most popular flavors are: Sweet Caramel Tobacco, Juicy Watermelon, Iced Red Mango, and, my favorite, Blue Raspberry Lemonade. Each salt nicotine e-juice we offer comes in a 30ml bottle with your choice of either 25mg or 50mg of nicotine. 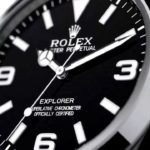 We try to get all orders ready to ship within 24 hours and then will have it delivered within 2-3 days during normal processing times and 3-5 days during higher-volume periods. So, if you’re in the market for the best nicotine salt e-juice then you’re in the market for SaltBae50. Head on over to our website and check out all of our available flavors. We love them and we know you will too! Or, contact us today and let us help answer any questions you might have. We combine the salty with the sweet for delectable flavors that will keep you vaping and happy. 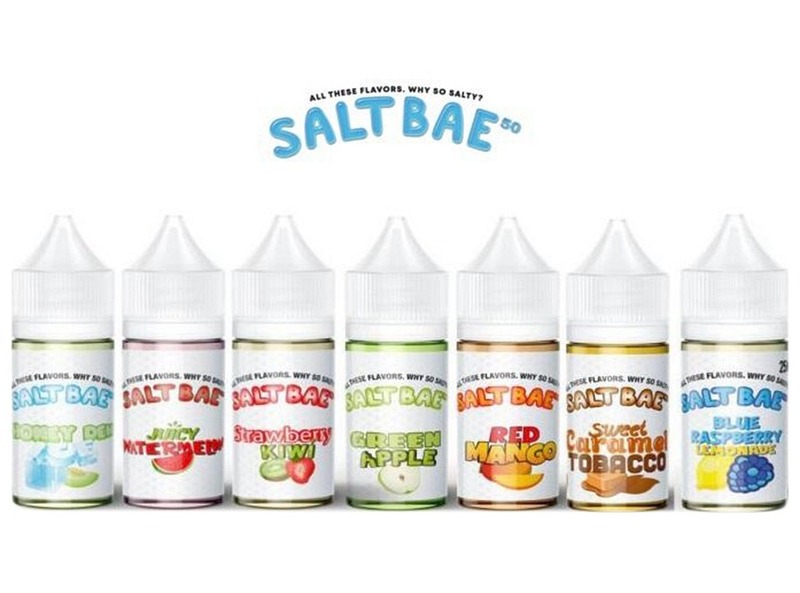 For more information about Best Vape Salt Juice and Salt Nicotine Please visit : Saltbae50.